These corner hammocks are a great way to make the most of your cage space. A great item for comfy lazing, these hammcks are a very popular rat accessory. Each corner hammock is made of a layer of cotton, and a layer of soft comfy fleece, and is suspended using metal eyelets. 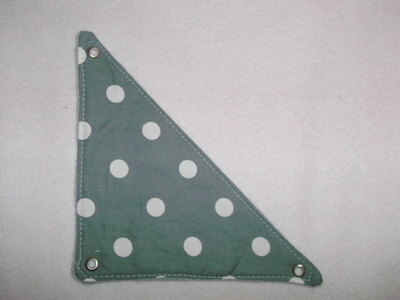 This corner hammock is made of grey spots cotton and grey fleece.